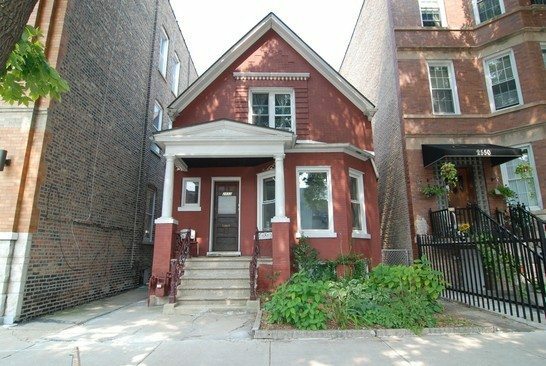 Unlike other 2-Flats in this price range, this charming building is in great condition (for instance, check out the brick) with an awesome backyard in a picturesque neighborhood. Each unit contains 2 Bedrooms and 1 Bathroom plus a Sunporch, which can be used as a really cool dining area. 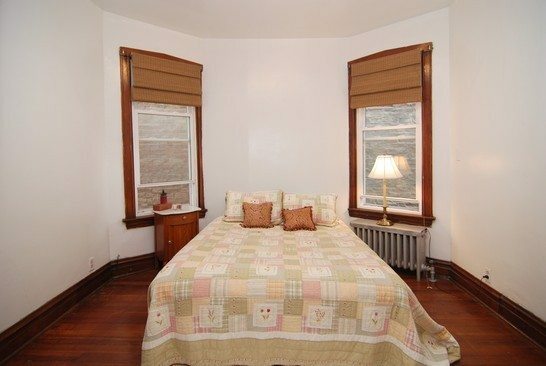 There is a lot of original vintage detail intact, including varnished moldings and hardwood floors throughout. Some of the plumbing has been updated and almost all of the windows are new. The full unfinished basement, accessible via an internal stairway, has a coin operated washer and dryer. There are separate heating systems for the 2 units and a 2 car garage. 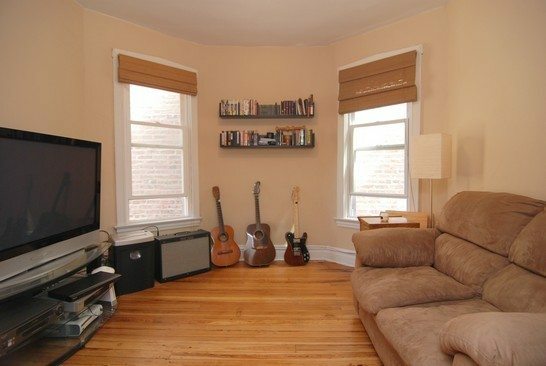 Live in one unit and rent out the other or convert to a single family home. Excellent location near Chicago & Western and surrounded by new construction. You enter the first floor unit from the entry way into this room, located at the front of the house with huge bay windows. Not shown is a huge closet off to the right side. This bedroom is right behind the living room in the middle of the unit and across the hall from the bathroom (also not shown) and another closet. This bedroom (not shown) is located at the rear of the unit, off the kitchen and behind the first bedroom. 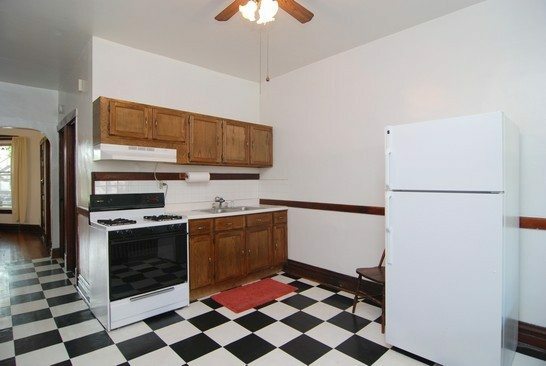 There is plenty of room in this kitchen to put a table or you can put a table like we did in the adjoining sunporch (10 x 7 not shown) which overlooks the lush backyard. The entry to the second floor unit is into a hallway behind the master bedroom. 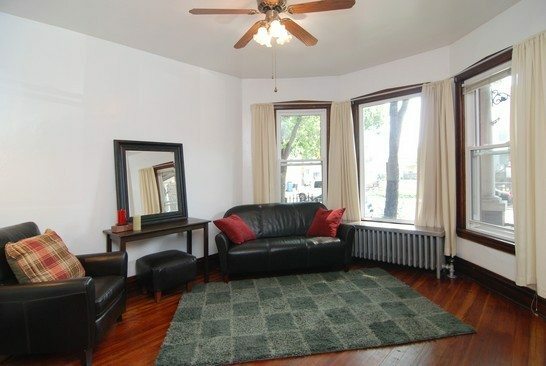 The living room is in the middle of the unit across from the bathroom. This bedroom is located in the front of the house, filled with sunlight from the pair of windows overlooking the tree-lined street. Behind the bed and to the left in the picture is a huge closet the runs the entire length of the room. But wait there’s more! On the opposite wall there is another closet (not shown). 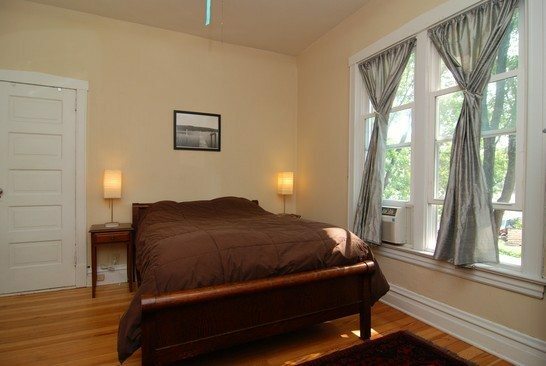 This bedroom is located at the back of the unit, off the kitchen and behind the living room. 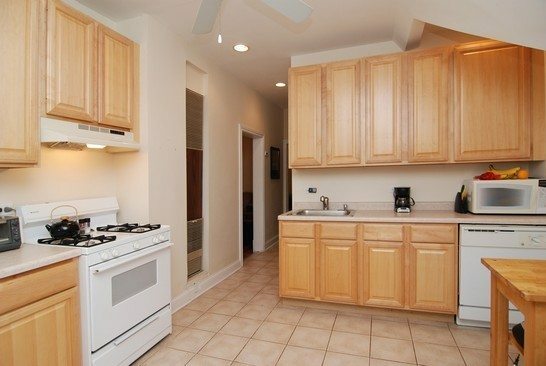 As you can see there is plenty of cabinet space in this kitchen and a built in dishwasher. Plenty of room for a table or you can use the adjoining Sunporch (12 x 7 not shown) as a dining area. 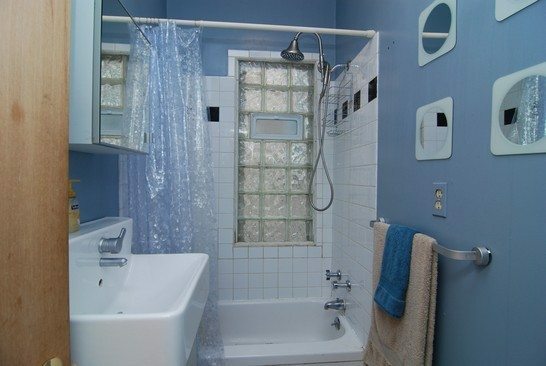 The bathroom is located in the middle of the unit across from the living room. Now that’s a back yard! It’s well manicured and has a patio for outdoor entertaining. Please contact Gary Lucido at 312-738-0232 for a showing or to tell me what else you can find at this price. 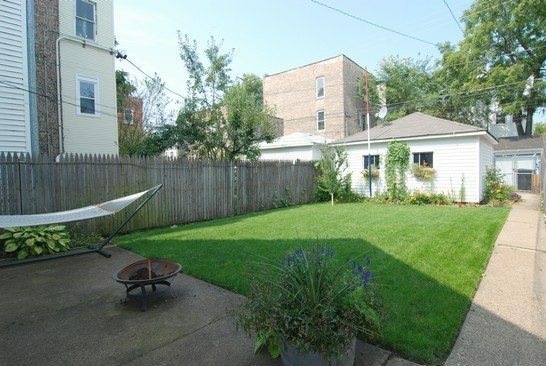 Be sure to check out our other Chicago homes for sale.